"There Was An Old Lady Who Swallowed A..." $3.99 (reg $7)! You are here: Home / Great Deals / Amazon Deals / “There Was An Old Lady Who Swallowed A…” Just $3.99 (reg $7)! “There Was An Old Lady Who Swallowed A…” Just $3.99 (reg $7)! “There Was An Old Lady Who Swallowed A…” $3.99 (reg $7)! Turns out that Old Lady was a very adventurous eater! 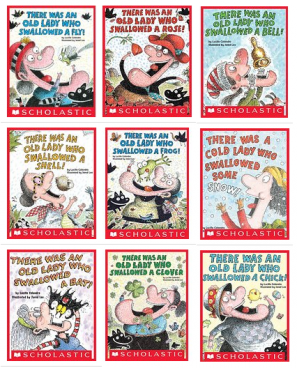 Order any or all of these “There Was An Old Lady Who Swallowed A…” eBooks for just $3.99 (reg $7)! It’s the Old Lady as you’ve never seen her before! Now she’s swallowing animals from the classic story…to create a home full of lovable pets! With rhyming text and hilarious illustrations, this is the original song young readers know and love with a wacky twist. The perfect story to read all year long!